Yes, we do bridge construction too! 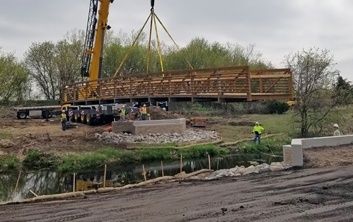 At Brennan we have the ability to build pedestrian bridges, pre-stressed concrete stringer bridges, swing-span, bascule, through-girder, and more. We have a large variety of heavy equipment that can facilitate critical picks both on land and on floating platforms. Whether we are self-performing the work, or teaming up with another contractor, Brennan has the equipment and personnel necessary to complete a critical bridge replacement, safely and on time. J.F. Brennan Company specializes in marine construction projects throughout the inland waters of the United States. 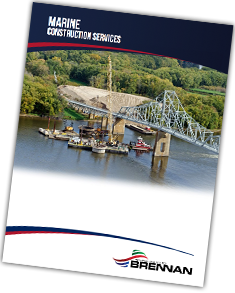 Download our brochure here to learn more about our industrial dock and barge terminal construction capabilities and other services that we offer.